Does your child complain of tooth pain? Dr. Jason W. Dyson, your Cedar Park, TX, family dentist at Parmer Oaks Dental Care, shares a few common cavity signs and explains how you can reduce your child's risk of tooth decay. A toothache or a persistent throbbing in a tooth is the classic symptom of a cavity, but there are others signs that can indicate tooth decay. White, brown or black spots on the teeth are often caused by tooth decay. If the decay progresses, you'll eventually see small holes in the tooth. Your child may complain of pain when biting or putting pressure on the tooth. Cavities also tend to make teeth more sensitive because they eat away at tooth enamel, the outer layer that protects the dentin and pulp. Your child may experience pain when eating or drinking hot, cold or sweet foods and beverages and when brushing his or her teeth. It's important to take your child to your family dentist as soon as possible if you notice these symptoms. 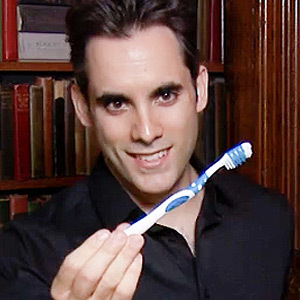 Supervising Brushing and Flossing: Daily brushing and flossing are an excellent way to remove cavity-causing plaque. Unfortunately, many children don't do a good enough job on their own. 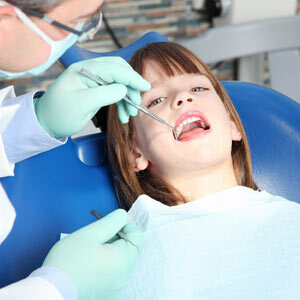 Supervising your child's oral hygiene routine and lending a hand as needed will help decrease your child's cavity risk. Limiting Sugar: Sugar combines with the bacteria in plaque to create acids that attack your child's tooth enamel. Avoiding foods and beverages high in sugar, such as candy and fruit juices, can help prevent cavities. Taking the Bottle Away at Night: Although milk helps build strong bones and teeth, it contains sugar. If your child falls asleep with a bottle in his or her mouth, he or she is much more likely to develop cavities. Concerned about your child's teeth? Call Dr. Dyson, your Cedar Park, TX family dentist at Parmer Oaks Dental Care, at (512) 528-8900 to schedule an appointment.